Montana’s Glacier National Park is a hiking paradise. With plenty of backcountry trails full of waterfalls, wildflowers and rugged mountain peaks, you’ll definitely want to bring your hiking boots and your camera here on your next Montana vacation! This national park is in an unspoiled part of northwest Montana, full of wildlife in their natural settings. During your hike you may see elk, moose, mountain goats, marmot, grizzly bears or even wolverines! The area was carved out by ancient glaciers and has some of the most distinctive peaks that the Rockies have to offer. And Montana’s famous big sky gets even bigger when mirrored in one of Glacier’s reflective high mountain lakes! Fishing in Glacier National Park is fantastic, with multiple kinds of trout normally caught, as well as arctic grayling and whitefish. Hike to one of the snowmelt steams or high country lakes for an unforgettable drive or hike-in fishing trip! 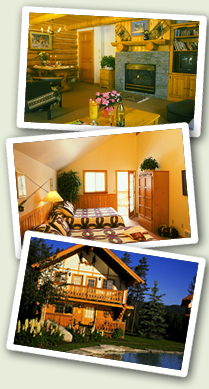 Stay in nearby Whitefish, Columbia Falls or Kalispell, Montana for a place to put your feet up after a day of hiking. 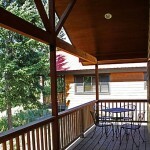 Area lodging ranges from affordable hotels to vacation rentals. There are also a number of tour guide companies that can show you around the park. 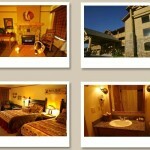 They will cater to your group’s interests and hiking ability level. 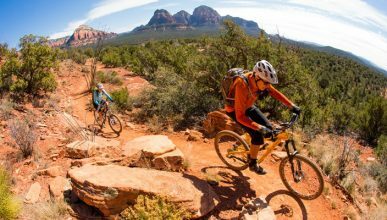 The park has over 700 miles of trails, providing years and years of options for hikers. There are hikes to antique chalets, historic sites, scenic lookouts and more in the Many Glacier, Two Medicine, Lake McDonald, North Fork and Logan Pass regions of the park. 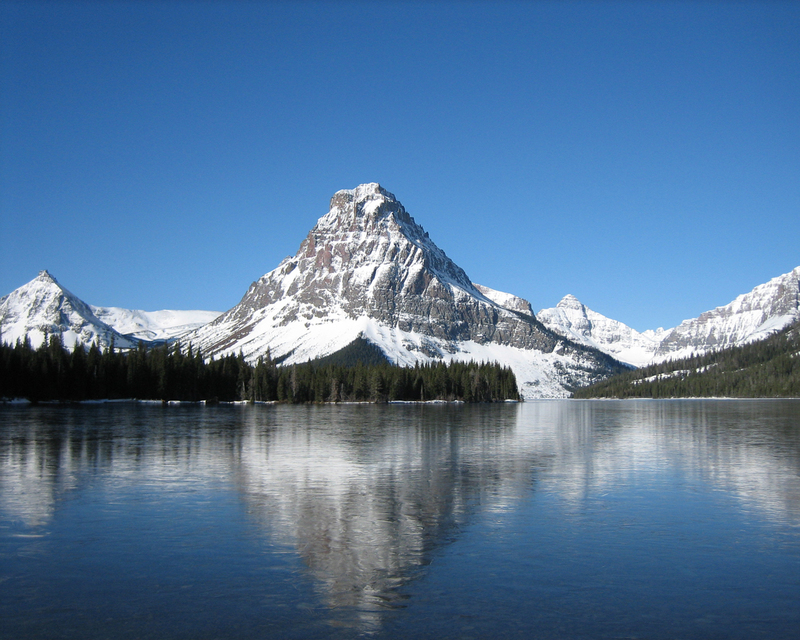 The Many Glacier Region borders the Waterton Lakes National Park and the Canadian Rockies at the north edge of the park. The North Fork Region is a fantastic place to hike if you want to get away from it all. It is also a prime trout fishing area in Montana. Logan Pass is probably the best-known region in Glacier. The hikes are very popular, and with good reason. Hiking here will get you to some of the most dramatic views of lush valleys and jagged peaks in the park. West Glacier is another popular region. 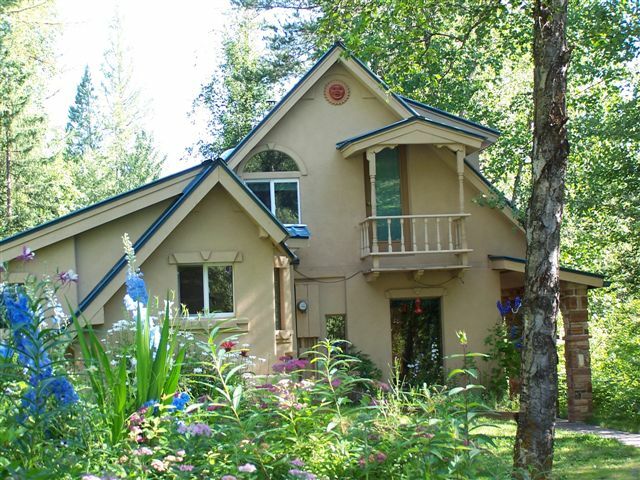 It has hikes at lower elevations and short, family friendly paths around Lake McDonald. Two Medicine Region is in the southeast portion of the park. It is mostly overlooked by visitors despite the fact that it has some of the best wildlife viewing in the park. It also has some gorgeous lakes and secluded hikes. Going-to-the-Sun Road is one of Glacier National Park’s best drives and a definite to-do on any Montana vacation. Connecting West Glacier and St. Mary, the route takes you through the heart of the park and Logan Pass. Crossing Logan Pass on Going-to-the-Sun Road is one of the best scenic drives in Montana. On your way, you’ll pass by Haystack Mountain, Mount Gould, Bear Hat Mountain and Mount Cannon, a few of Glacier’s landmark peaks. In the deep valley you also be able to feast your eyes on vast fields of bear grass, a white, bell-shaped wildflower, along with colorful Indian Paintbrush and Magenta Fire Weed. Guard rails and brick walls will prevent you from falling from the deep canyons that the road winds along. Other amazing driving experiences along the route include entering rock-hewn tunnels and driving right by waterfalls. Bring your camera because along the way you’ll probably see a few mountain goats, sheep and maybe even a grizzly bear! Going-to-the-Sun Road is 52 miles long and was completed by 1932 by the United States government. 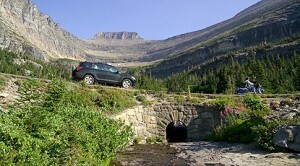 It was an epic project, crossing the Continental Divide at 6,646 feet at Logan Pass. It runs through ancient cedar forests, alpine tundra and borders glacial lakes. Five out of Glacier’s total thirteen campgrounds are located along the road; Apgar, Sprague Creek, Avalanche, Rising Sun, and St. Mary. Scenic viewpoints are sprinkled along the route with pullouts for drivers. The route is great no matter what direction you take it in, and since the views are actually quite different, you might want to take it both ways! Don’t miss your opportunity to see a glacier from the side of the road at Jackson Glacier Overlook! It is located between Logan Pass and St. Mary. Without stopping, it usually takes drivers around 2 hour, but take it easy, stop, take in the majestic views and get some great photos along the way! To drive along Going-to-the-Sun Road, your vehicle must be 21 feet or shorter, 8 feet (or less) wide and less than 10 feet high, so you can make it through the tunnels. Check your vehicle before setting out on the drive and check the weather. Conditions can rapidly change in this part of Montana, so be prepared! Hiring a tour guide is a good way to get the most out of the drive, as they can point out features and let you in on the history of the area. 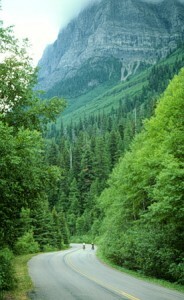 The scenic drive is free, but there is an entrance fee to Glacier National Park. Obey the speed limit, they are there for your own safety! The speed limit is 40 miles per hour in the lower sections and 25 miles per hour in the alpine section of the drive. As the road is over 75 years old, it is undergoing a rebuilding phase. During high season delays will be held to 30 minutes on any one-way trip along the road, but in late autumn delays may last up to 2 hours. The reconstruction will be taking place over the next 8-10 years. During 2010’s summer, road work is scheduled to occur west of Logan Pass between Big Bend and Logan Pass. Be aware that there are no gas stations or restaurants along the way! 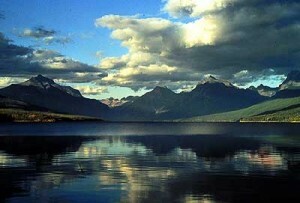 Lake McDonald is one of the best places to have some outdoor fun in Glacier National Park. 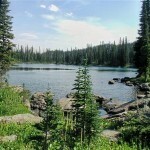 There are many great hikes around the lake and in the surrounding scenic valley. 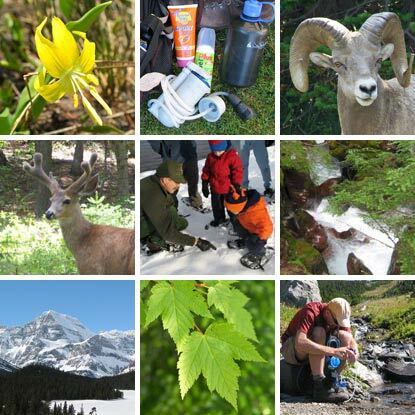 Read below for five CanadianRockies.net recommended hikes in the region, but before heading out on these hikes check in with a guide or park ranger for up-to-date information on trail closings, weather reports and wildlife tracking such as grizzly sightings. This is a 6.4-mile hike (one way) and takes on a 3,500-foot elevation gain. Sure, it’s challenging, but it will get you to the Chalet, a classic Montana building in the wilderness of Glacier National Park and great views along the way! This hike is another relatively tough one, at 4.2 miles long with 2,100 feet of elevation. Views of Lake McDonald and Heaven’s Peak! This hike leads to a lookout for forest fires. It looks to the southwest part of Glacier National Park. The hike is 3.3 miles long and has an elevation rise of 1,900 feet. This short hike is 1.1 miles long, perfect for families with children. 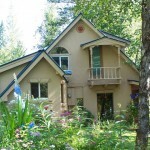 It is located on the quieter side of Lake McDonald, with plenty of nice views and opportunities to see local wildlife. Take this moderate hike around a pristine little lake in Glacier. The hike is 4.4 miles total. 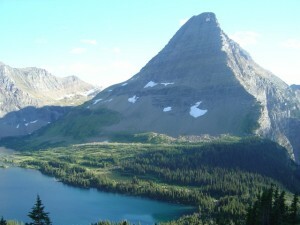 The Two Medicine Region is a secluded part of Glacier National Park. Hiking in this unspoiled area takes you past waterfalls, cliffs, caves and waterfalls. Contemplate the surreal blue of Cobalt Lake and catch glimpses of lots of Montana wildlife during your hike! Stay in nearby hotels to base your stay here by the park and read below for our top five picks for hikes in the Two Medicine Region. Visit this waterfall with the whole family! It is a very short walk from the parking lot (.1 miles). The falls are unique, with part of it spilling off a cliff and another park pouring out of a cave from an underground river. This is a true hike that will take you 5.7 miles and 1,400 feet up. On the way you’ll see vast fields of wildflowers and get fantastic views of the Two Medicine lakes and the unreal blue of Cobalt Lake. This hike is a real challenge. It is 6.7 miles long and takes hikers up almost 2,500 feet of elevation gain. The views are spectacular and you will have the rare chance to view a wolverine in the wild. It takes a while, so get an early start! This hike leads up to, you guessed it, a scenic lookout point that hikers and photographers will love! The path is just 3.1 miles long, but gains 2,300 feet, so it is considered a moderate to strenuous hike. This is a short, 1.9 mile hike that is family friendly, with only 750 feet of vertical gain. It takes you past the banks of Two Medicine Lake and leads to a picturesque waterfall. Note: Check in with a park ranger at Glacier National Park before setting out on any of these hikes, as they will have the most up-to-date information on wildlife activity, trail closings and weather reports. Since May 11th of 1910, Glacier National Park has hosted visitors in northern Montana. In 2010, will be marking its 100th year with huge celebrations and festivities. 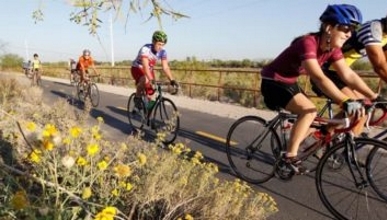 The 10th park to be named in the United States. 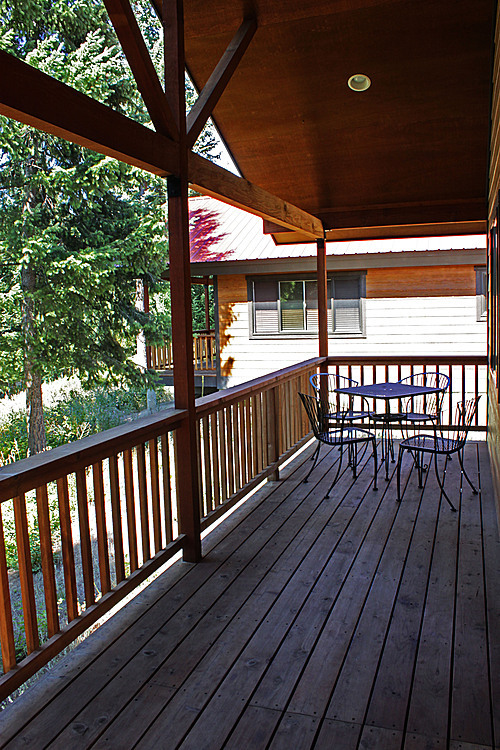 Stay in towns near the park like Whitefish, Kalispell or Columbia Falls and join in the party! Park Superintendent Chas Cartwright will kick off the 100th anniversary celebration. Enjoy the live music and tours of the historic sites in the park, leaving from the Glacier Community Center on May 11th from 10 a.m. to 4 p.m. Just ask a park ranger at the entrance how to get to the community center! Plein air artists will be painting for three days within the park from June 22-24. Watch them capture the beauty of Glacier National Park or attend the reception in the Hockaday Museum in Kalispell, Montana. Maps with the artist’s locations will be available at park entrances and ranger stations. Come to the Belton Chalet, across from the entrance to West Glacier, on June 25th to hear live poetry readings all day. Attend the Glacier Symphony summer pops concert from 6 to 10 p.m. on July 10th, 2010. It will be held at the Rebecca Farm at 1385 Farm to Market Road in Kalispell, Montana. Columbia Falls’ traditional summer celebration will be centennial themed this year. If you’re in the area from July 22-25, check out the parade, races and dancing in the streets. Columbia Falls is just a few miles from West Glacier. Ten different folk and singing groups will perform on July 30th from 8 a.m. to 4 p.m. and on August 2nd and 3rd from 5-8 p.m.
Whitefish, Montana will be celebrating its annual huckleberry festival this year, but with some extra centennial oomph. The delicious berry will be available at the festival in the form of ice cream, desserts and even flavored beer! August 13-15, 2010, downtown Whitefish. 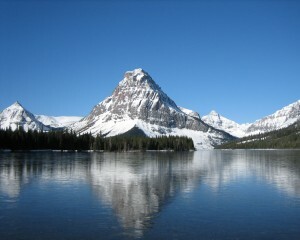 Check back on CanadianRockies.net for updates as we get more info on Glacier National Park centennial events! Logan Pass is one of Glacier National Park’s most popular areas. 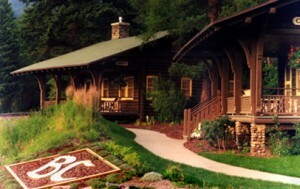 Visitors are drawn here every year for its excellent hikes, scenic views and great visitor’s center. 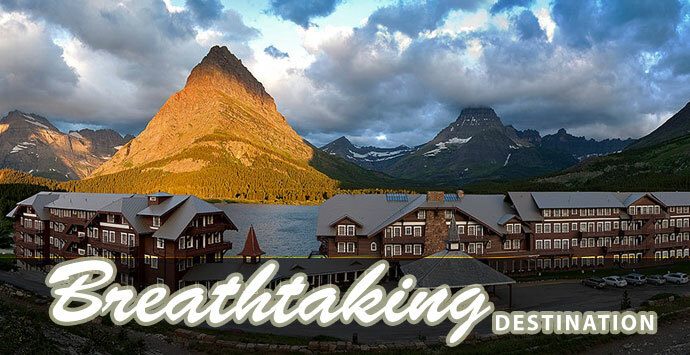 Stay in one of the many Montana hotels by the park and head right in the heart of the wilderness for some great hiking! This challenging hike is 10.3 miles one-way, but has big rewards. Waterfalls, wildflowers and views of wildlife in their natural habitat are just a few. Families will love this hike that is just 2 miles long with a 500-foot elevation gain. The lake itself is surrounded by steep mountains. Come in the spring and you’ll see beautiful cascading waterfalls emptying into the lake. This is a very short hike that families can enjoy together. It is a .2-mile trail down a boardwalk through some of the largest cedar trees in the state. This is another boardwalk hike that is 1.5 miles long. It leaves from the Logan Pass Visitor’s Center and is known for having sheep, goats and great views of Glacier National Park. 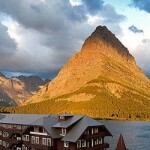 Get to this historic Montana lodge by taking The Loop Trailhead or Logan Pass. 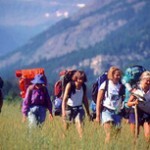 Stop to smell the wildflowers and photograph the surrounding wildlife on this hike in Glacier. Note: Before attempting any hike in Glacier National Park, we recommend consulting a qualified Glacier National Park guide, or visiting with a park ranger to get the best up-to-date information on grizzly sightings, trail closures, and weather advisories. Get your tackle box ready! 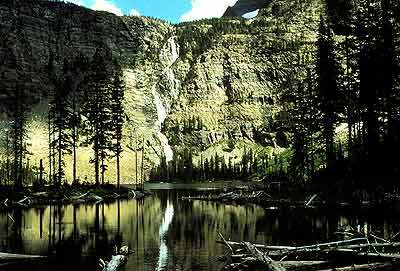 Montana’s Glacier National Park has great fishing and spectacular scenery- what more could an angler ask for? Some of the best trout fishing waters are in this park whether you enjoy fly or spincast fishing. 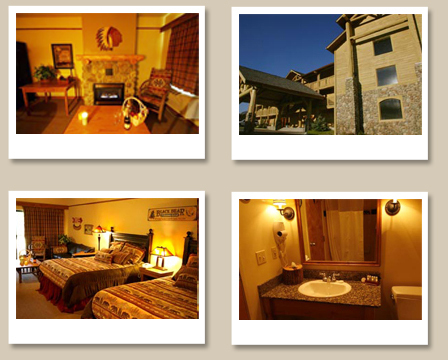 Get a good night’s sleep at one of Montana’s great lodging options and head out early! Schools of rainbows and cutthroat trout are waiting! 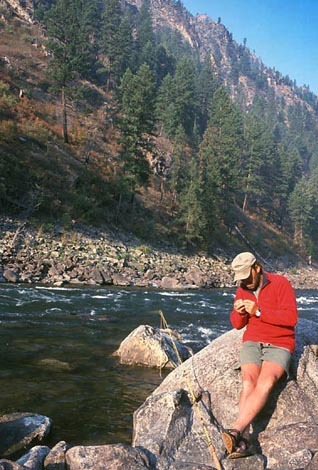 This is a pristine fork of the Flathead River has lots of lake, cutthroat and rainbow trout. It is also a great place to see many other species of Montana wildlife. This glacially sculpted lake is an awesome spot for rainbow trout fishing and contains one of the few remaining fishable populations of arctic grayling in Montana. Access this beautiful like from the Chief Mountain ranger station or from below the Ptarmigan Tunnel. Fish in this part of the Flathead for great views of the south-eastern and south sides of the park. 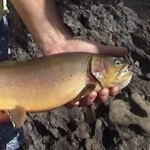 They have a strong population of westslope cutthroat trout. This lake is on the North Fork side of the park. 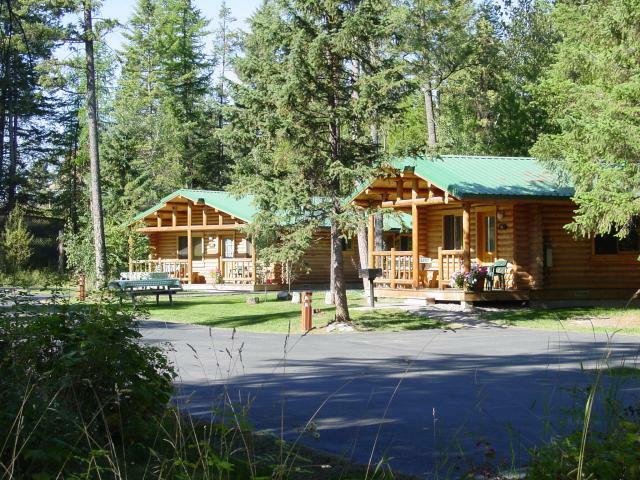 Come here for easy fishing of cutthroat trout and fantastic views of this secluded part of Glacier National Park. Fishing here is an angler’s challenge, but the views and surrounding peaks are gorgeous, so it’s worth it. Great brook trout are here- you’ve just got to outsmart them! Now you have an idea of where you want to fish, consider hiring a Montana fishing guide to show you the sweet spots in the rivers and lakes. 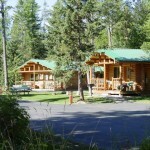 Offering trips up the scenic Middle and North Forks of the Flathead River. Trust in them to show you the best places to snag a few westslope cutthroat- they’ve been guiding here for more than 20 years! 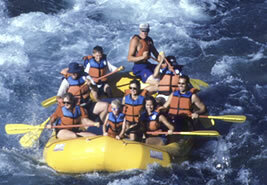 Visit Wild River Adventures for more information about their trips. This Montana company has been taking travelers to the Middle Fork, the North Fork and the Smith River since 1983. Sign up for their half-day, full-day or multi-day trips. 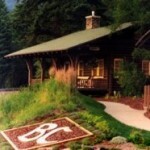 Ask about their fly-fishing school and cabin stays! Visit Glacier Guides Inc. for more information. Contact Swan Mountain for fly-fishing trips just a little southwest of Glacier National Park on the Swan River and in the Bob Marshall Wilderness. 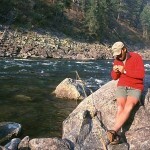 Half or full day trips are available, as well as fly-fishing lessons. Visit Swan Mountain Outfitters for more information. Glacier National Park is home to the rushing Flathead River with all its forks. 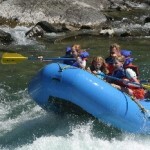 Trips down the river’s whitewater rapids are an exhilarating and fun way to spend your Montana vacation. 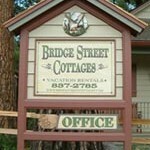 Stay in towns like Whitefish or Kalispell, Montana for great vacation rentals and lodging during your trip. 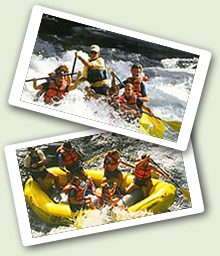 While the park’s rivers are also good for fishing, canoeing, and wildlife viewing, rafting is probably the most exciting. Read below for a brief explanation of the different forks of the Flathead and the companies that explore them! Let them organize a trip of a lifetime for you! 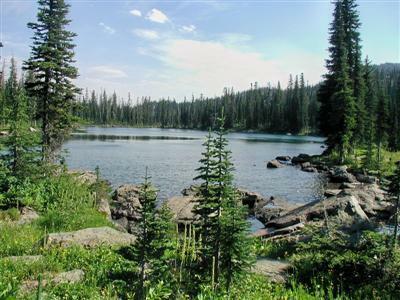 Head into the middle of the 3 million acre Bob Marshall Wilderness for the trip of a lifetime. It is an amazing experience just getting to this area of Glacier National Park because it is only accessible by air, horseback or on foot. The area is also teeming with Montana wildlife. Don’t forget your camera! The Middle Fork goes right along the southeastern edge of the park. The peaks are spectacular backdrops to every scene in this area of Glacier. Spring and early summer are peak season for whitewater, with Class III – IV rapids. 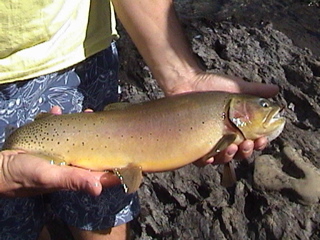 Later in the season they slow down to Class II – III teeming with cutthroat trout. This northern fork of the Flathead is mellow, with Class I – II rapids, but still worth the trip. This area of the park has pristine wilderness with elk, grizzly bears, eagles, and moose as permanent residents. Amazing peaks and diverse fishing can also be found in this part of Glacier. Catch a cutthroat, lake or rainbow trout or a delicious whitefish! This tour company has been hosting visitors since 1976. Over the years it has seen more than 300,000 rafters down the Flathead. Accommodating to every skill level and interest! Visit Glacier Raft Company for more information. This environmentally conscious company has been hosting rafters in Glacier National Park since 1983. Organize trips through their company no matter what your ability or energy level. They also organize fishing, kayaking and canoeing trips! 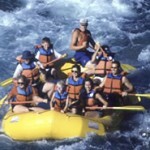 Visit Great Northern Rafting for more information. 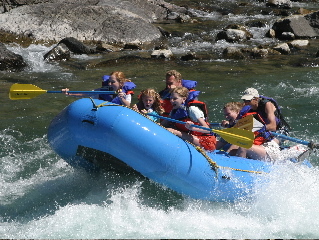 This rafting company is part of Glacier Guides, Inc., a travel and tourism company with extensive excursion options like horseback riding or BBQ trips in combination with rafting the Flathead River. 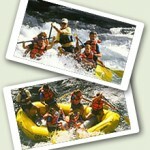 Check them out at Glacier Guides Inc. / Montana Rafting.